Auction Closed. Sold via Buy Now $800. Next Auction Monday, April 15. Confession: This piece, a personal favorite, was my emergency stash. In art and in life, it’s always good to have a back-up plan. Note: This auction will run two weeks until Monday, April 22. So as usual I started a new painting last week. It failed miserably, and I ran out of runway to try again. It may surprise some that I still have lots of “failed” paintings. The truth is, I encourage failure in my work. Why? Because I’m set free to take risks and push my boundaries. That’s where I learn the most. There’s always plenty of private struggle going on behind the scenes in my studio. This is a totally charming painting! I love the cow added. You have a gift. Please come to Florida and paint our scenery and wildlife. I absolutely love barns. They represent hard work and Vermont. This is gorgeous. 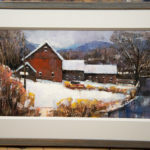 Thank you for another beautiful painting, rich in the sense of peace and tranquility that rural Vermont offers so abundantly. As to risks and failures, I think there is much truth in the saying that the only real failure in life is the decision not to try. his green curtain today, thanks so much for ALL your posts, they improve my days!! Please continue your work and sharing. Peter, I love your work. I understand how you feel. I too have private pain and somedays just want to run away. Your paintings make me smile and take that pain away for awhile. Please stay strong and remember people really care about you. My best always! I love your emergency stash painting! Your colors are rich and vivid, and yes you are a Wiz. I have to go thru all your prints again because I finally found THE one but can’t remember the title – more fun for me !! Thanks Peter !! the great Bob Ross said to never miss an opportunity to practice (painting) and failing. thanks Bob and Peter. Can’t always hit one out of the park Peter, so having a spare is very smart. Battenkill Barn is lovely and a perfect fit for this Monday. Thank you. As a writer I understand your dilemma of working so hard on something and then sitting back recognizing it’s not right. That’s how we learn and hopefully improve our craft. Bring on the spares! 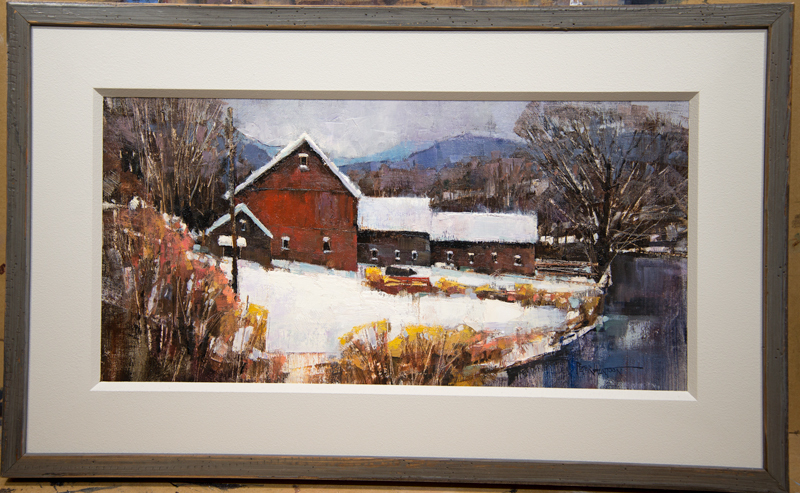 This painting along with all your others are classic images of Vermont; a very special and unique state. I was born in Wheelock VT in 1951. I have been crocheting since I was 9 years old and many times I have tried to come up with new patterns to make. Many times I have spent hours on something and ended up ripping it all out. Thank you for your weekly emails. I look forward to them. Hi Peter, your work reaches me in the afternoon. These rural ensembles of barns and houses are pleasant and show me the characteristics of a region with a tradition of agriculture. It reminds me in many ways to my own childhood. In the neighborhood we had a farm with a great “adventurous” barn. My cousins lived in a very old mill in which the water was tumbling down driving a huge mill wheel. When we visited our family there we had spooky feelings as children. So I know the hard working people in those pittoresk farms and mills. Thank you for avoiding sweet smelling “kitsch” in your paintings. And at least: We all fail sometimes, we learn and we try it again. Hi Peter…. 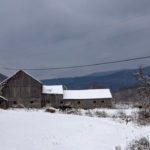 I always enjoy the farm pics….actually even love the original/photo of the Battenkill buildings. Are you staging a play in your “spare time”?…. 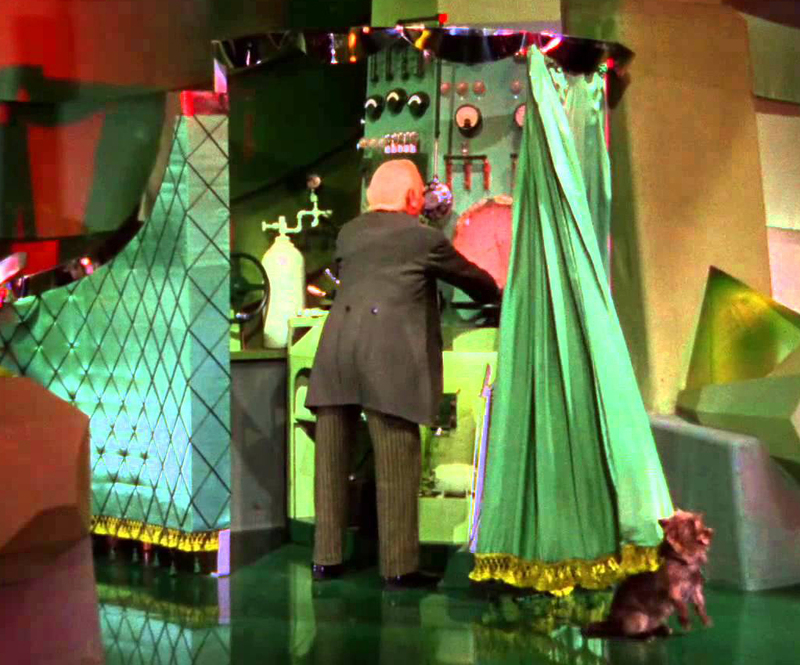 I can’t ignore the man behind the curtain!